Looking for an exciting spicy pasta recipe with exotic flavour? Then try this Harissa Pasta made with just 7 ingredients and in just 15 mins. I designate every Sunday pasta day. Ok, ok, I know. So, how about I designate every Sunday for the next four weeks Harissa Pasta Sunday. Because even though this pasta is so, so, so pretty and even more delicious than you can image, I understand that you might get a little bit harissa’d out. And take note of the maybe. To be honest I don’t think there is such a thing as too much harissa, as you can see from love of Harissa Recipes like this roast harissa lamb with stuffed harissa apricots or my gluten-free harissa meatballs, saffron rice and harissa-butter corn. 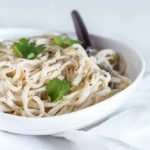 This pasta is one of the simplest recipes you can make. 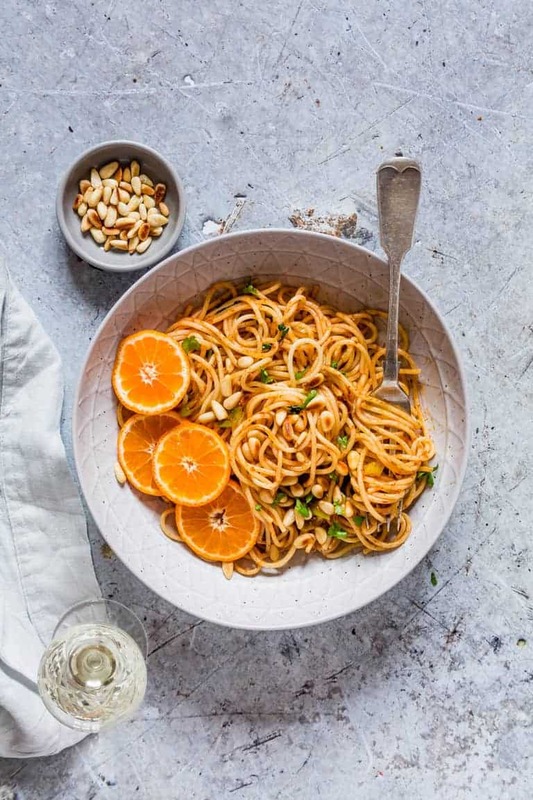 Seriously there are 3 core ingredients, pasta, fragrant harissa and spring onions, but adding the pine nuts and oranges means you get a whole amazing explosion of flavours in every bite. The oranges give it a light citrusy lift to the harissa paste. Step 1. Cook pasta according to the packet instructions and set aside somewhere warm.. Step 2. Fry the spring onions for a couple of mins. Step 3. Stir in the harissa paste and cook for approx 2 mins until fragrant. Step 4. Add the cooked pasta and stir until the pasta is well coated. Step 5. 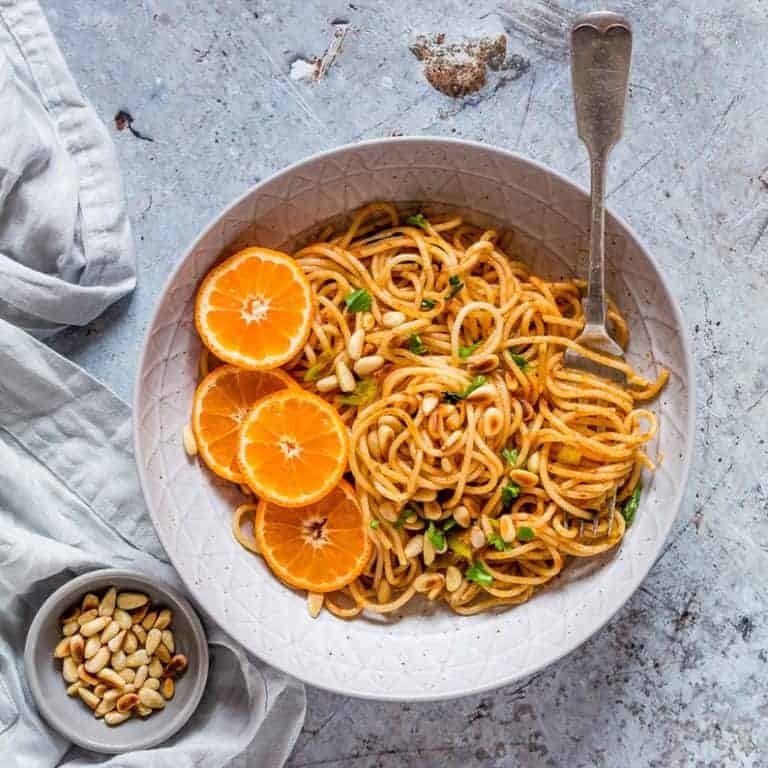 Serve the pasta topped with pine nuts and orange slices for squeezing over the pasta. 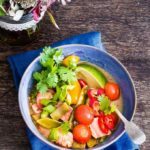 You can pretty much make this in less than 20 mins which mean it is great for a quick weeknight supper, impromptu lunches and crowd-pleasing recipe for when you want to treat your nearest and dearest to a fragrant brunch. To be honest I make it quite a lot during the summer holidays when I have had rather long busy days hanging with the kiddoes. The sort of evening during which I can barely raise myself from the couch to turn on Netflix, let alone actually stand at a cooker and make elaborate meals. That is when I appreciate the amazing simplicity that is this pasta. Thank you for reading my Harissa Pasta recipe post. And please come visit again as I continue dreaming up recipes, traditional African recipes, African fusion recipes, Sierra Leone recipes, travel plans and much more for you. Here is how to Make Harissa Pasta. Please do try it and if you do make it then please do tag #recipesfromapantry on Instagram or Twitter so that I can pop over and have a look. It is really, really awesome for me when you make any one of my recipes. You can also share it on my Facebook page. 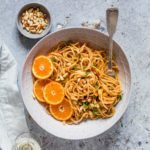 Don't forget to tag #recipesfromapantry on Instagram or Twitter if you try Harissa Pasta With Oranges! It is really, really awesome for me when you make one of my recipes and I'd love to see it. You can also share it on my Facebook page. Please pin this recipe to Pinterest too! Thank you for reading Recipes from a Pantry. Heat olive oil in frying pan, add the spring onions and cook for a couple of mins. Stir in the harissa paste and cook for approx 1 mins until fragrant. 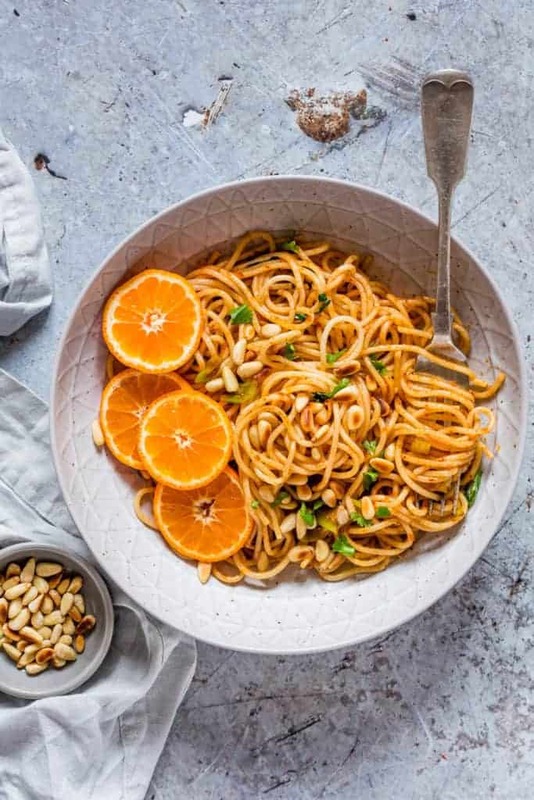 Serve the pasta in bowls topped with pine nuts and orange slices for squeezing over the pasta. Wow. This is such a lovely recipe for summer. Sometimes that balance between something hearty and yet not too wintery seems hard to strike. Throwing aside the two extremes of comforting ragu and light salads in favour of this exciting pasta supper seems like a great plan to me. Loving the pine nuts in there… and the colours…. and the harissa. This sounds like such an interesting pasta dish. 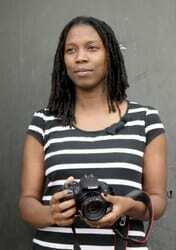 I love your photos, do you shoot in natural light? What an interesting blend of flavours and ingredients! Love the idea of topping it with crunchy pine nuts. Yum! WOW! This pasta looks delicious and the photos are incredible. I love that this only takes 20 minutes to make. Totally digging this recipe. I am a huge fan of harissa and it adds just the right punch to this dish. Dedicating every Sunday for pasta is not a bad idea. I too can think about dedicating one day per week for certain dish. Love the addition of harissa to pasta. Sure it turned great. My goodness, this looks good! 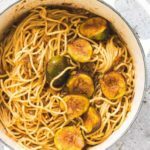 I have never tried anything with harissa but love the look of this pasta! Delish! 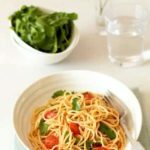 This pasta dish looks so fresh and light for summer. Definitely want to try it! This dish looks so tasty and colourful. Love the pine nuts and orange slices on it. Amazing pictures! I could eat pasta like all the time. I’m a HUGE fan. 🙂 This harissa pasta looks really lovely. Great blend of flavours and love the addition of citrus freshness. Perfect for summer. I have never tried combining harissa with pasta. What a gorgeous idea! I love how simple it is but how complex the flavors are! This looks fantastic! I’ve only really ever used harissa in chicken dishes, so the idea of adding it to a pasta seems like a great one! Thank you so much for sharing – I can’t wait to try it at home!